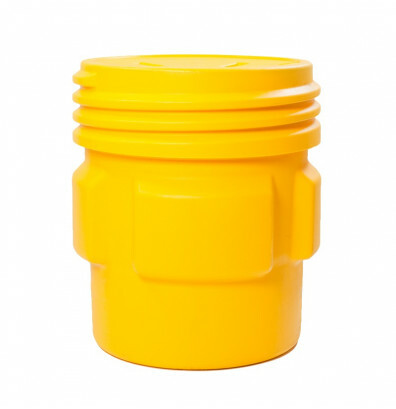 Eagle 1661 overpack screw lid poly drum stores hazardous materials safely in a wide range of applications including spill containment, cleanup, and bio waste disposal and incineration. Constructed of durable yellow blow-molded high density polyethylene (HDPE) plastic with UV inhibitors to reduce fading from sunlight. Designed to be weather and chemical resistant for long-lasting use. Screw-on lid ensures a strong seal to keep in contents. Weight capacity of 660 lbs. Spill capacity of 65 gallons.